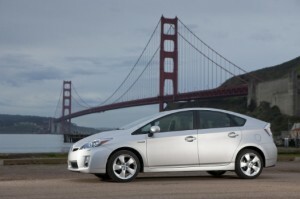 One of the first designs of hybrid car to be made available to the public was the hatchback. Hybrid vehicles rely on electric motors to get them from Point A to Point B, and that electricity only drains at a faster rate the more weight the vehicle must carry. That being said, the miniature hatchback offered the most reasonable body style choice for both convenience and energy conservation. Since hybrids are not all that old, the hatchback hybrid is still at the top of the list for hybrid lovers who crave economy and preservation over power and cargo space. 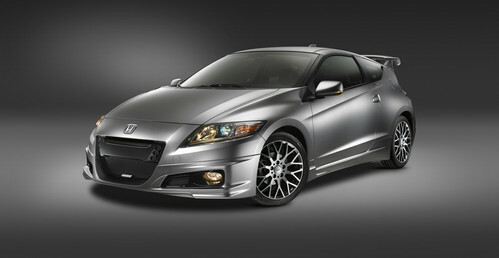 The leaders in this particular category are listed below as the best hybrid hatchbacks of 2011. It should be no surprise here that the trailblazer of hybrid hatchbacks is still leading the way. “There are plenty of choices for a green car this year. But when it comes to high fuel economy, plenty of versatility and a reasonable price, the 2011 Toyota Prius cannot be beat.” (Edmunds) The 1.8L four-cylinder gasoline engine is coupled to two electric motors that send power through a CVT transmission, producing a total of 134 ponies. EV mode is great for that around-town puttering, as it uses only the electric motor, but max speed in this mode is 25 mph. 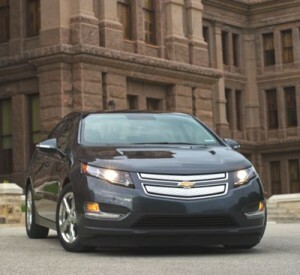 The Chevy Volt is a plug-in hybrid that features a 1.4L four-cylinder internal combustion engine, but is primarily powered by an electric motor rated at 149 horsepower and 273 lb.-ft. of torque. The Volt was originally designed as all-electric, which seems to be where its forte still lies; however, the all-electric range is only roughly 50 miles max, so fuel efficiency really varies based upon how much you use the internal combustion engine. The interior is very technologically savvy, which makes it surprisingly attractive and user friendly, but space and comfort are in short supply the longer you’re in the vehicle. One place where comfort is not in short supply is the Lexus CT 200h. While it doesn’t possess all the high-class extravagance that your standard Lexus sedan imposes, it does offer plenty of soft-touch surfaces and a driver-friendly cockpit. Eco mode offers the best fuel economy, which is estimated at 43/40mpg, but Normal mode offers the best overall handling and throttle response. Sport mode will sharpen the steering, but don’t expect it to be too overly sporty; it is a hybrid after all. Storage capacity in the hatch is 14.3 cubic feet, but that increases with the rear seats folded down. “Hard-core enthusiasts will likely be disappointed, but somebody just looking for a sporty two-door with good fuel economy will likely be pleased with the 2011 Honda CR-Z.” (Edmunds) The biggest positive going for the CR-Z is the sales price; it is the lowest of all the top hybrid hatchbacks. On the other hand, it hits the bottom of the list for a couple reasons. While reasonably peppy, and fairly fun to drive, don’t expect handling like you’ll see from the Civic Si. The interior is futuristic in its bevy of colors and lights, but that doesn’t make up for the fact that fuel efficiency remains very low for this segment at 31/37 mpg. Still, if you’re looking for a hybrid bargain, look no further.